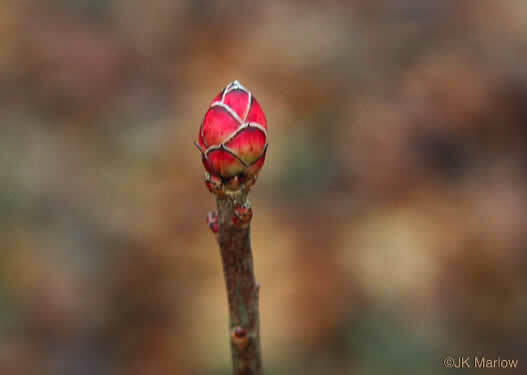 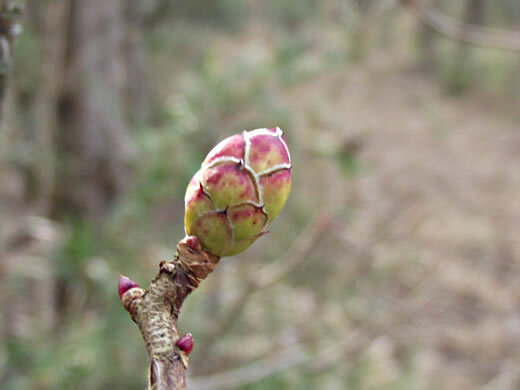 Rhododendron buds are shaped like a football. 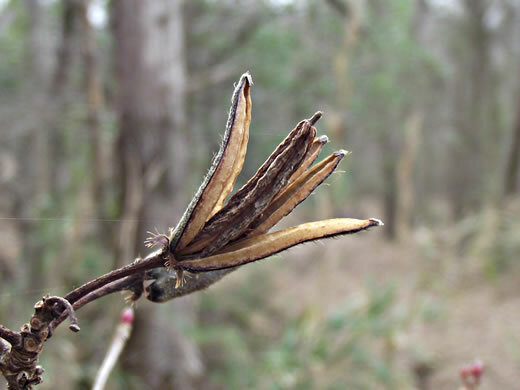 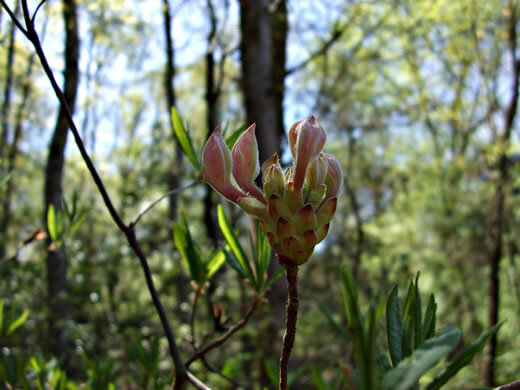 Rhododendron have terminal buds with several imbricate scales, per Woody Plants of the Southeastern US: A Winter Guide. 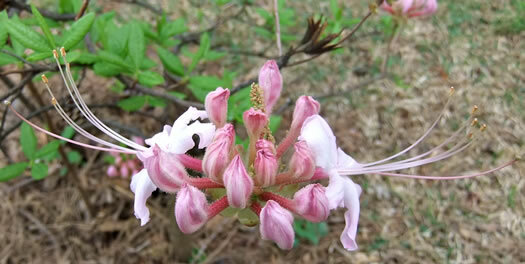 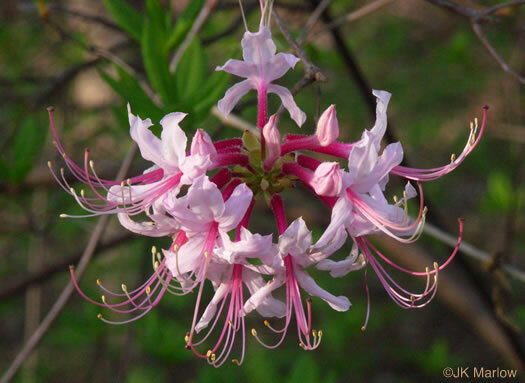 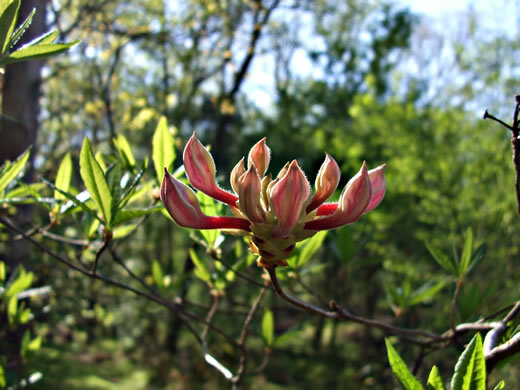 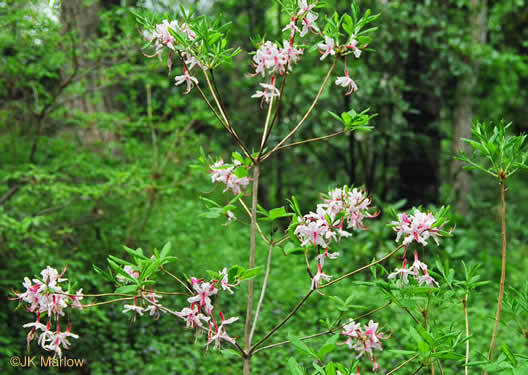 Flower tubes typically covered with non-glandular hairs, per American Azaleas. 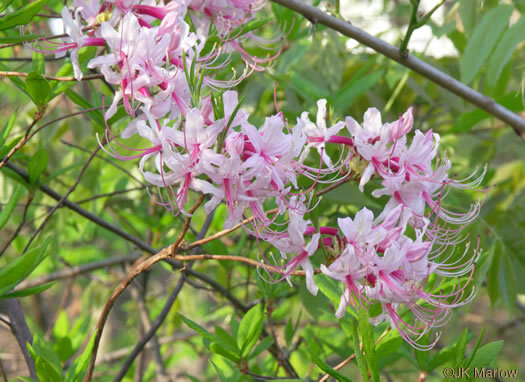 Leaves generally elliptical to obovate in shape, per American Azaleas. 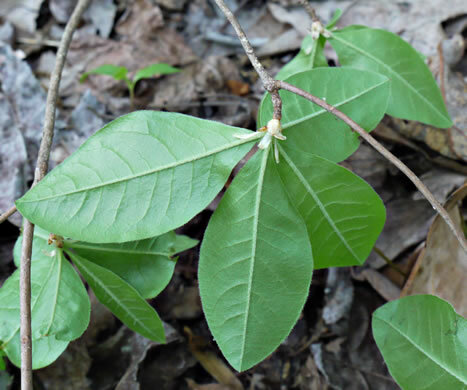 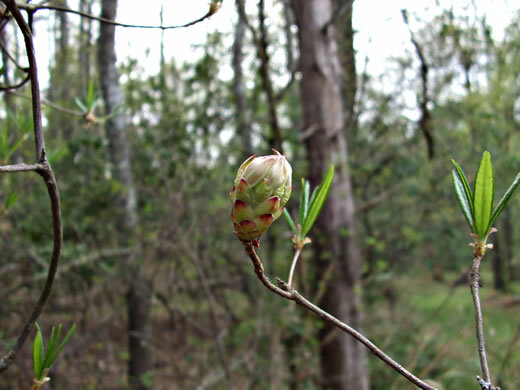 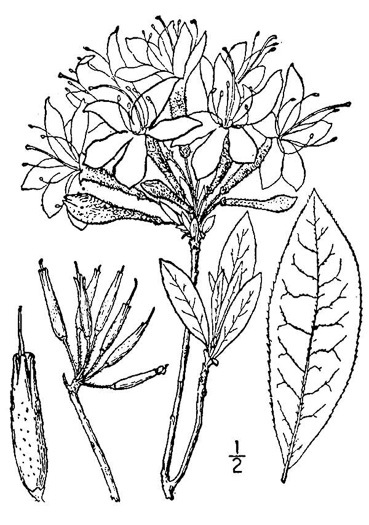 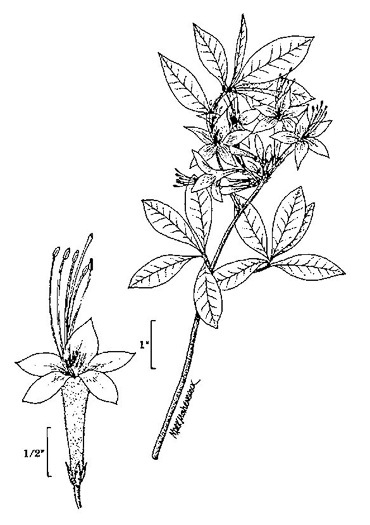 Flowers appearing with or before the leaves, per Weakley's Flora.